I enjoy drinking infused water because it encourages me to drink more. So hydrate yourself by drinking half your body weight in water and add lots of flavor. Add all your favorite types of fruits and or vegetables to your water and as a side benefit it may help to lower your high blood pressure. My favorite flavored drink helps to complement my blood pressure alternative treatment. 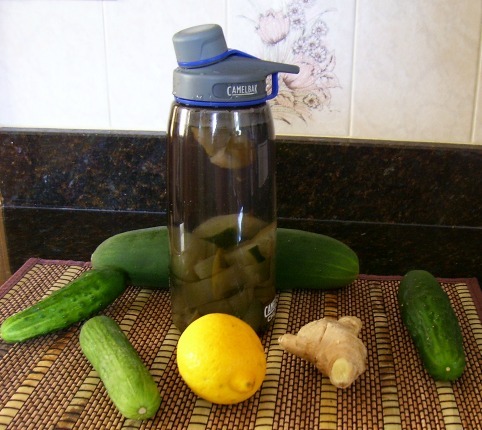 I add a couple slices of cucumber and two slices of lemon to my drinking bottle then add water. Alternating on different days between this and pure water throughout the day. It is so habit forming, refreshing and delicious. The earth has given us so many choices of vegetables and fruits that are available to us in different colors, containing various amounts of nutrients and antioxidants that assist with the elimination of inflammation. Inflammation is often at the root of many ailments, in particular high blood pressure. My about me page tells my story. 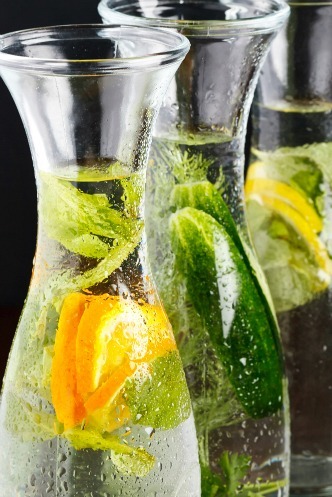 Infused water is good for detoxification, energy and hydration. You put as much fruit in a jug or bottle of water as you like, let the water sit for thirty minutes at least, whether in your refrigerator or on your counter-top before drinking. I make mine at night, fill my bottle and place in the fridge overnight, ready to be placed in my bag when leaving for work. 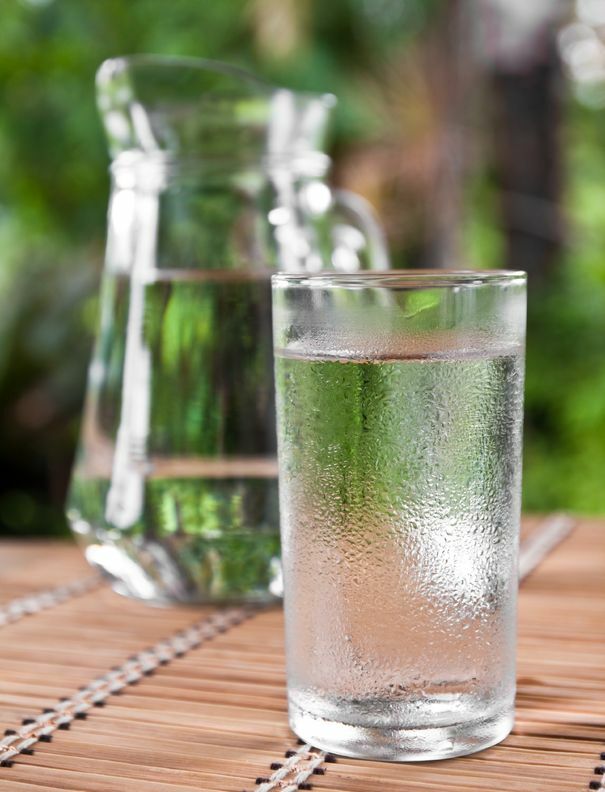 By simply increasing your water intake you have done a lot to improve your health. Water regulates your body's temperature, detoxify, moisturize and protect your joints, and assist in the transportation of nutrients into your organs. Water restores your health. It is the gift for your health. So try to consume half of your body weight and hydrate. Cucumber, lime and lemon works for cardiovascular, water weight management, bloating, appetite control, hydration and digestion. Strawberry and kiwi is great for cardiovascular health, immune system protection, blood sugar regulation and digestion. Green tea, mint and line are used for fat burning, digestion, headaches and congestion. Lemon, lime and orange flavor water is delicious and is recommend to be had at room temperate. Helps with your digestion, Vitamin C, and immune defense. There is so much we can do to better our health that is more cost-effective, with no bad side effects, than going to the doctor for medication every few months to treat your blood pressure, high cholesterol or whatever ailment you may be experiencing.